Have you ever come out of the subway running late for a meeting with no clue which way you're supposed to go? Sure, Maps will tell you how to get to your appointment, but only if it's aware of where you are and what direction you're facing. Sometimes it "thinks" it knows these, even though the data it's being fed is inaccurate. You're then in for some impromptu outdoor trivia: Try to figure out which path to follow by checking if the blue dot is moving in the same direction you're supposed to. If it's not, it probably means your compass is not calibrated, so you can start frenetically shaking your phone in an 8 shape to see if it'll eventually point the right way. You then walk for a few feet and the dot suddenly "slides" 2 blocks away... Oh right! You're in a crowded city, and GPS accuracy is reduced because of all these skyscrapers. Don't worry though; you'll find a street sign and a landmark to manually pinpoint your location on the map and arrive 15 minutes late. Google is well aware we're tired of losing both our time and tamper with this, so it's come up with a solution called Global Navigation to combine camera, GPS, and compass data to determine your position more precisely. This technology relies on the Visual Positioning System method, which creates maps by combining images of landmarks with their location so their outlines and features can be used for navigation. Thanks to its Street View imagery, Google has created a detailed VPS index so devices can accurately identify their position and orientation based on what is around them. They will also use machine learning so phones know what reference points to look for, as the initial images might have been taken during a different season or from another angle. Google is still working on improving this technology before making it widely available. 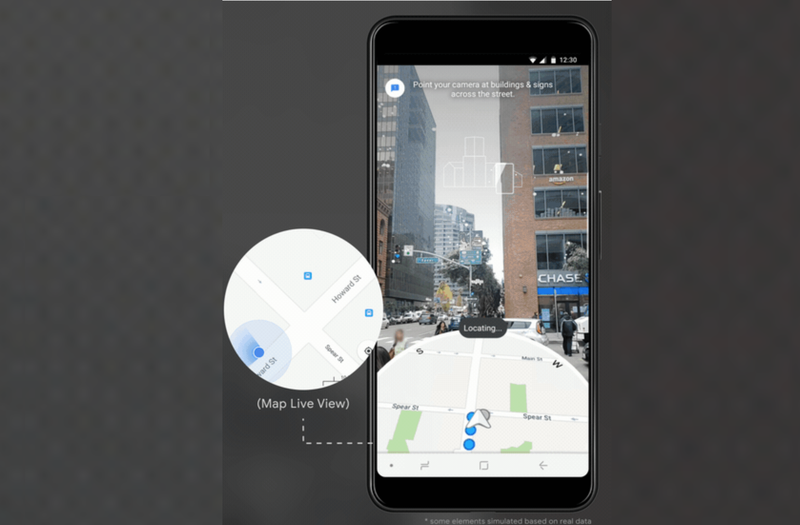 It's already begun testing it with select Local Guides, along with AR-based navigation, but will probably spend some time improving it before integrating it into its official Maps application.